The Storm Elite is much like the Storm, but combines distinct styling with performance. 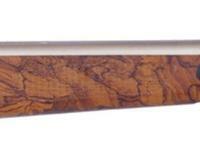 Key style features include a synthetic stock with a burled wood look and a nickel plated barrel. Things I liked: The stainless steel looks great. 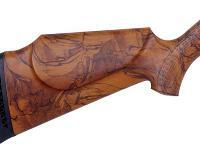 The synthetic stock, imitation burlwood feels nice. Very good power.10 shot avg. 845 fps. using H&N FTT 8.64 gr. over my chrony. The gun has a quality look and feel to it. Open sights are nice and bright, highly functional. Things I would have changed: Trigger pull is hard. A little creep in it. Not horrible, but could be better. Might get better with use. 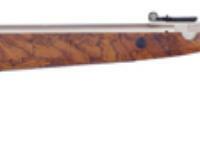 What others should know: I bought this rifle for my Father-in-law, who shoots it with open sites. I was nailing small metal spinners @ 50 yards time and time again. Shot right through a rabbit's neck @ 30 yards using RWS Hobbies. Dead right there. I did not think that it would go all the way through with the Hobbies because they are a wadcutter pellet, I was wrong, and that's a testament to it's power. Things I liked: Excellent power and accuracy with easy cocking. Highly visible 3-dot sights. Nice balance with good stock design for adults. Things I would have changed: Somewhat flimsy adjustable rear sights. What others should know: Trigger is advertised as 4.5 lb. pull but feels considerably heavier than that. It has slight creep but is still controllable. Things I liked: This is my 1st sping rifle. Very loud (a 5 in my book), heavy but crisp trigger. Lite weight for a rifle, looks sharp, always liked the nickle gun, even if not avaiable would send slides to get hard chromed. This rifle replaces a Savage bolt action 22 lr rifle I've been using in the back yard with super colbri ammo (no gun powder in these sheels only primer charge very quiet but a box of 50 runs about $4.50 shoots about a .177 pellet size projectile) vs about $4.00 for a 500 rd tin of pellets. Things I would have changed: Trigger too too heavy, a non shooter would probably not have good acurracy.